The glaciers blanketing the high mountains of central Asia are smaller than we thought, according to a new analysis published Monday in Nature Geoscience. Given that they’re also facing a rapid meltdown, this is pretty bad for the hundreds of millions of people who use their water. Last week, a major analysis concluded that most Himalayan glaciers could melt by the end of the century if greenhouse gas emissions continue rising. Adding insult to injury, the new study is concluding that the glaciers in this part of the world—a region known as High Mountain Asia that includes central Asian mountains, the Himalayas and the Tibetan Plateau—contain about a quarter less ice than previously estimated. That means that as the planet warms, the remaining ice is likely to vanish sooner. It also means flow of water from the enormous river basins originating in High Mountain Asia will start to slow, potentially by up to 24 percent by the late 21st century. Today, hundreds of millions of people live in those river basins and depend on that water for drinking, while over a billion more eat the food produced there. The international team of authors, led by researchers at ETH Zurich and the Swiss Federal Institute for Forest, Snow and Landscape Research WSL, arrived at their conclusions while conducting a global analysis of the volume of ice contained in some 215,000 glaciers beyond the Greenland and Antarctic ice sheets. That includes glaciers in remote parts of the High Arctic and those that rim the Antarctic continent, but also lower-latitude mountain glaciers in the Canadian Rockies, the Andes, and elsewhere. While we already knew these glaciers are shrinking rapidly due to climate change, current estimates of the volume of frozen water they hold aren’t great, making it hard for scientists to predict how much time these icy reservoirs have left. Farinotti and his co-authors used a combination of up to five ice thickness models, including information on the surface topography of glaciers and ice flow dynamics, to better gauge how much ice glaciers outside of Greenland and Antarctica contain. The answer? About 160,000 cubic kilometers, or 18 percent less than earlier estimates. Compared against the only other study that used similar methods—a paper from 2012—the new estimate is still 7 percent lower. But it’s in specific regions where the findings are especially worrisome. Compared with the 2012 study, the new analysis found Arctic glaciers hold 17 percent less ice while glaciers of the Southern Andes are 20 percent smaller. 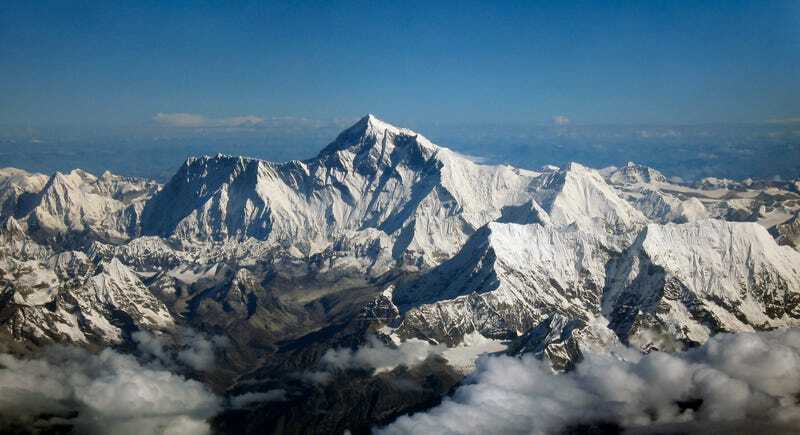 The glaciers of High Mountain Asia contain about a quarter less ice than the 2012 study estimated. Twila Moon, a research scientist at the National Snow and Ice Data Center who wasn’t involved with the paper, said that while there’s still lots of room for improvement and uncertainty in some numbers, the new paper “can certainly be viewed as the current best estimate”of the volume of glaciers worldwide. Farinotti noted that the analysis only included ice thickness observations for about 1,000 glaciers, telling Earther he would “almost be happy” if the results led to more data collection in areas where it’s lacking.